Radiation therapy is a frightening enough prospect for anyone but for kids it can be particularly daunting. 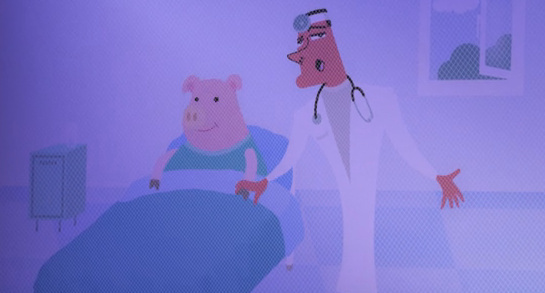 Trunk Animation have created this lovely animation for the Pediatric Brain Tumor Foundation as part of their Imaginary Friends Society project (over 20 shorts created to explain scary medical issues to children). I am quite sure that this, as well as the other films, will be much appreciated not only by the young uns but adults too. Bravo.